Book Online • Low Price Guarantee! Rates in Central & Eastern PA! Want Exclusive Specials in Your Inbox? A Laid-back Atmosphere...Perfect for Your Guests! Moccasin Run Golf Club, located in Atglen, PA is a peaceful escape into the countryside, providing the perfect retreat for a day of golf. This Chester County course is open to the public, known for pristine playing conditions, and named for the Shawnee and Nanticoke Indians who once occupied the area. 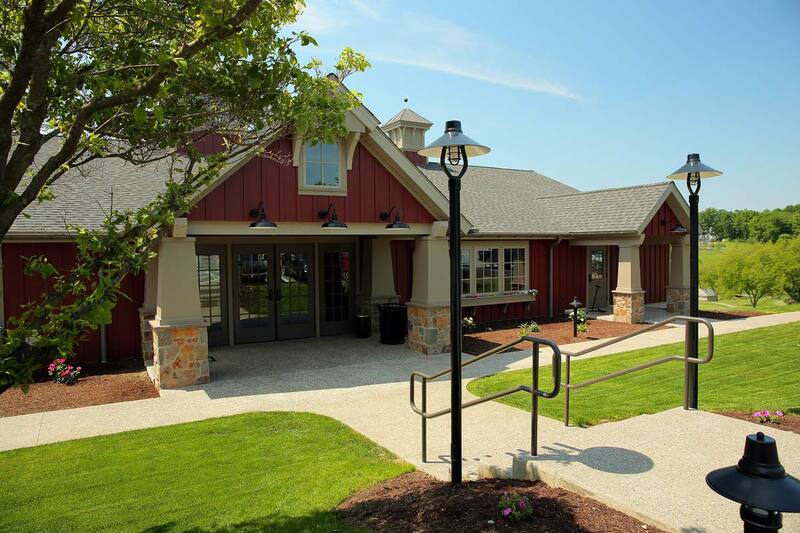 Visit our million-dollar renovated clubhouse for dining, drinks, live entertainment, and a delicious menu of American-fare cuisine. We're your home away from home. Family-owned by Curt and Grace King, the 100-acre property is championship rated and treasured by lifelong players and visitors alike. Onsite, you'll find the King family working on the greens, advising golfers, and organizing activities in the clubhouse. Golf Pro Rodney King gives encouragement and guidance to improve your game. Reasonable prices, refreshments, and a challenging course will make this an experience you'll remember and crave often. Plan a festive day, inside or out. Graduation parties, birthdays, bridal showers, company events or any time you’re feeling social. Choose one area on the grounds or an indoor/outdoor combination of spaces. All available with catering, beverages and golf packages in a scale to match your celebration. 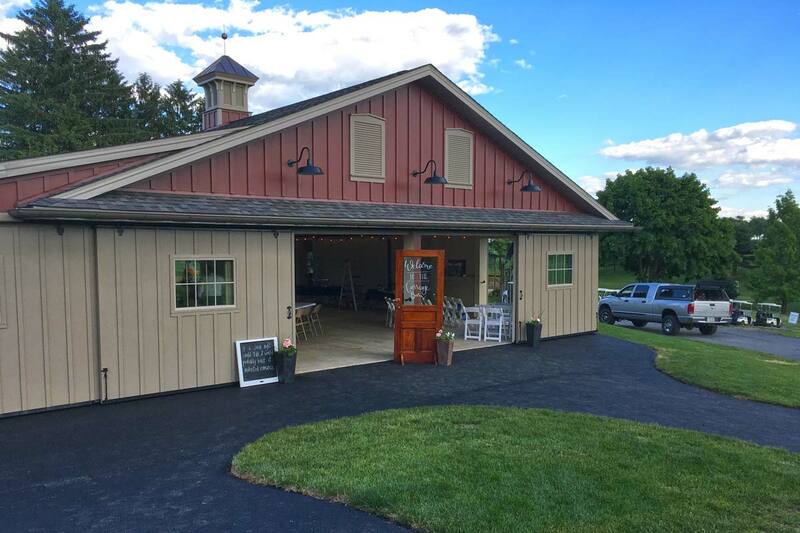 Weddings, anniversaries, christenings, parties of many kinds, as well as golf outing tournaments. Click below for photos! 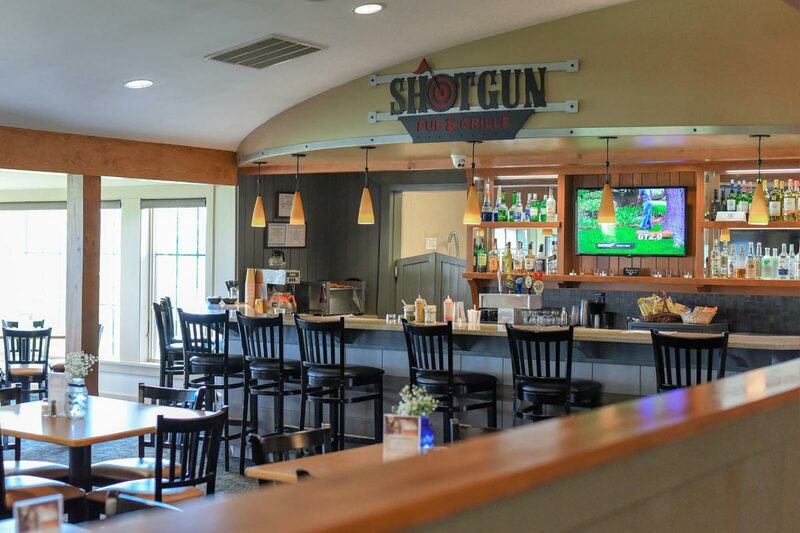 The Shotgun Pub & Grille is known for being a 'hot spot' around town, whether you've just finished a great day of golf, or you're just stopping by for great food, fun entertainment, and a cozy atmosphere of the absolute best people in Pennsylvania! Here, we know everybody by name...you'll love it! Offering a great golf course you'll love to play every day!